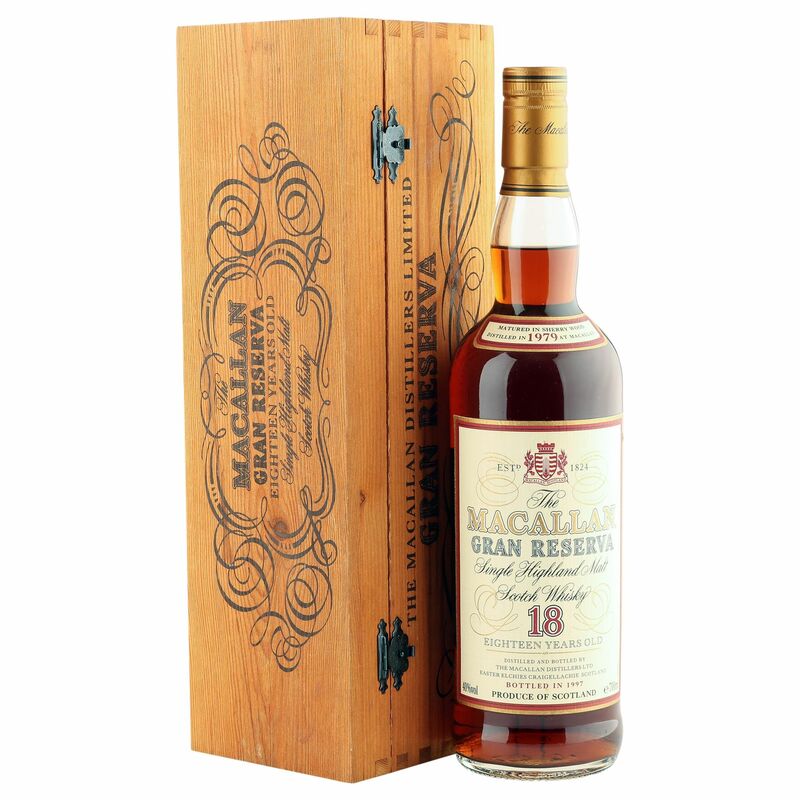 This limited release Macallan 1979 distillation was selected from the finest Olosoro casks and then bathed in the most sultry of Spanish sherry casks for 18 years. 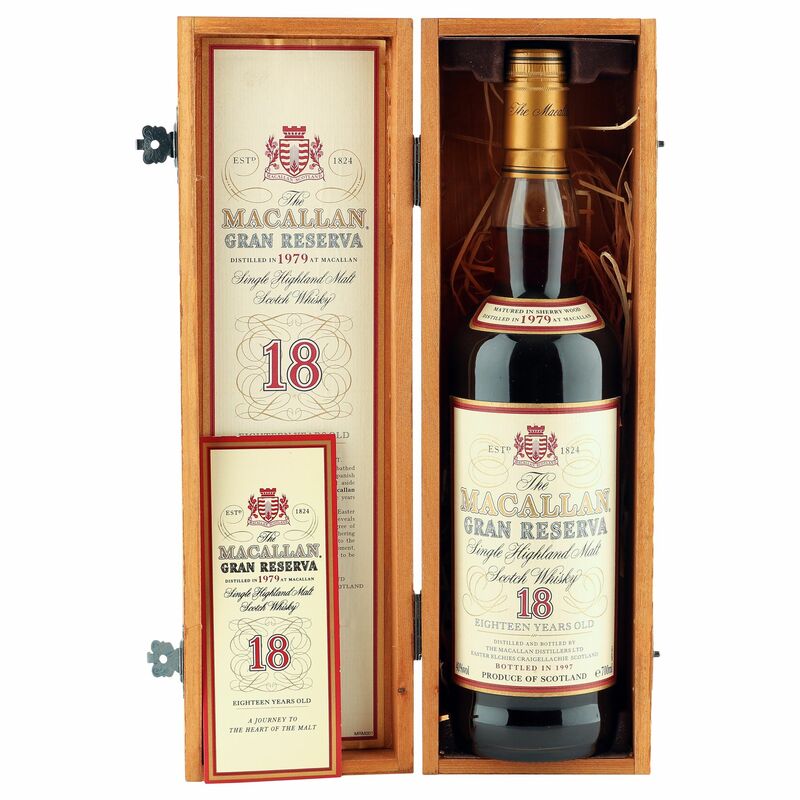 This rare and well sought after Speysider was then bottled as the first release of The Macallan Gran Reserva series in 1997. Scored an impressive 91 points with the WhiskyFun critics and comes with original wooden presentation box.